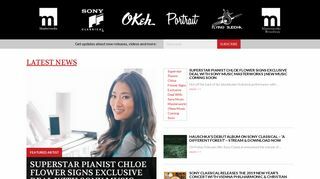 Sony Masterworks – Classical, crossover, and soundtrack music label. Features sound clips, tour schedules, and upcoming releases. – Classical, crossover, and soundtrack music label. Features sound clips, tour schedules, and upcoming releases.